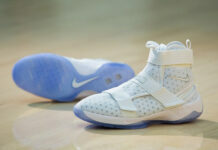 Still, the Nike LeBron Soldier 10 is the highlight for the LeBron line and what he has been wearing on the court. 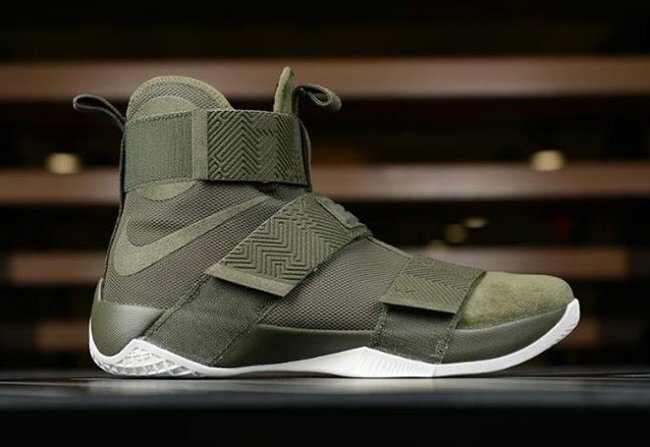 While the Nike LeBron 14 is set to be unveiled soon, we have another premium edition of the Soldier 10 starting to launch. 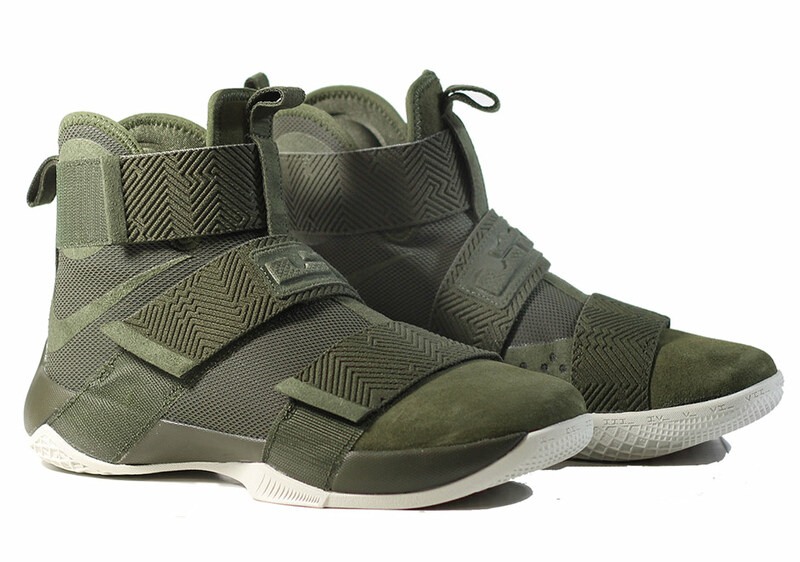 Shown is the Nike LeBron Soldier 10 Lux ‘Olive Green’. 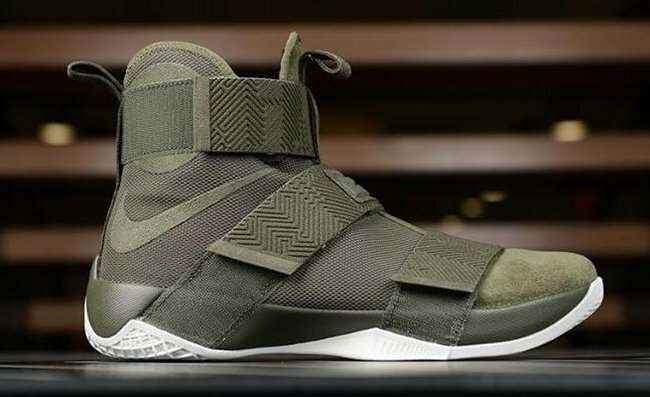 This Nike LeBron Soldier 10 features a luxurious build while apart of the Lux series. 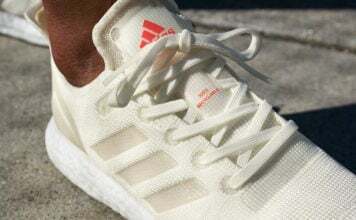 As you can see, suede lands on the toe box while mesh on the base. 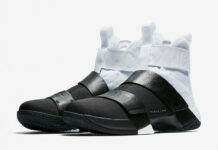 The three straps have textured graphic. 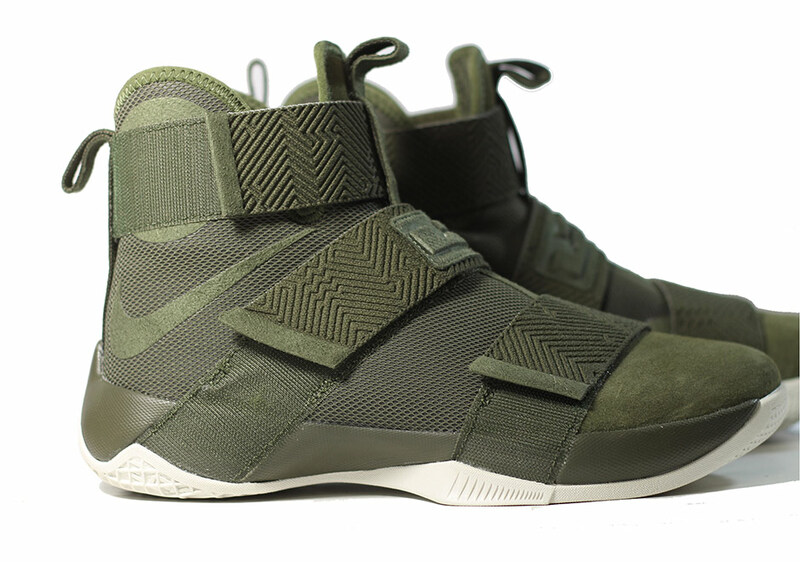 While shades of Olive Green runs across the uppers, White covers the outsole which completes the look. 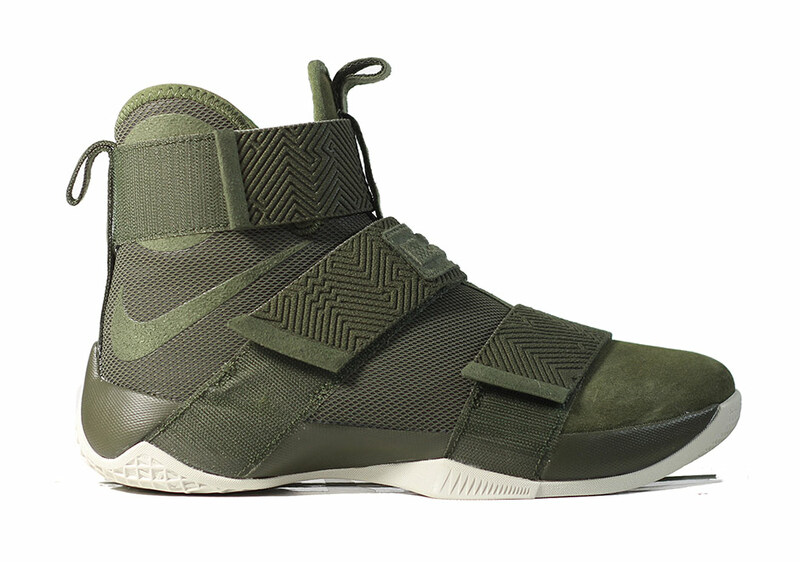 Below you can check out another images of the Nike LeBron Soldier 10 Lux Olive Green. 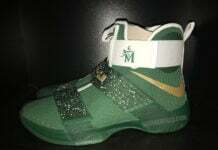 For those that are interested in purchasing, they are now landing at select Nike Basketball retailers like Foot Locker. 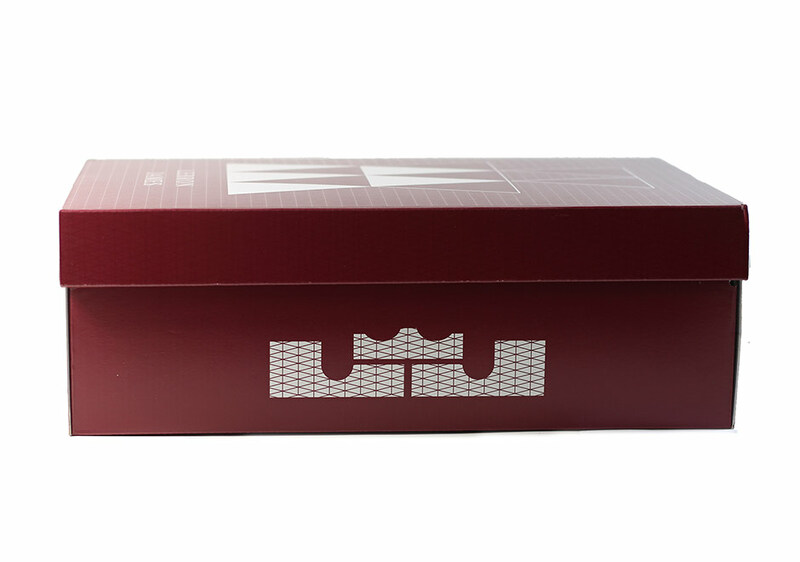 Check out their Launch Locator to purchase. Update: The Nike LeBron Soldier 10 Lux ‘Cargo Khaki’ also known as Olive Green is now arriving at additional retailers like Shop NY and NikeStore.com.